The late Lamara Bell’s brother defended himself today over charges of threatening her ex-partner in Falkirk Sheriff Court. Martin Bell (33) told Lee Burt, the father Lamara’s son, he was going to be “getting it” and would be “getting smashed” after his business in the court had concluded. Bell claimed Mr Burt and others had been provoking him throughout the day. 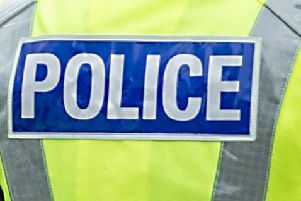 Appearing without a solicitor at Falkirk Sheriff Court today, Bell, 16 Waverley Crescent, High Bonnybridge, pled guilty to behaving in a threatening manner at the court on September 23. Procurator fiscal depute Samantha Brown said: “The complainer was present at this court as a witness in a trial of the accused. He was there with a number of others and there was an altercation outside the court. Bell’s sister Lamara (25), from Camelon, died on July 12 last year after she had been lying, trapped and critically injured, in a crashed car for three days following an accident on the M9 near Stirling. Her partner at that time John Yuill (28), who was driving, is thought to have died on impact. Police failed to respond to an emergency call at the time and eventually found Lamara 72 hours after the accident and investigations were launched into the handling of the incident. Sheriff Mungo Bovey ordered Bell to pay £200 to the sheriff clerk’s office within seven days or he would go to jail. If Bell is of good behaviour over a 12 month period his money will be returned.